If you’re looking for a new motorbike or even just browsing motorbike websites and forums, you’ll find Japanese manufacturers dominate dealerships and the internet. The likes of Honda, Kawasaki, Suzuki and Yamaha dominate sales charts in the UK and dominate the world of MotoGP and motorbike racing, too. All this might lead you to ask what the Europeans are playing at but the good news is there are plenty of European motorbike manufacturers that are active in the marketplace. Some European manufacturers are in fact product leaders; they just don’t experience quite the same mass sales as their Japanese counterparts. 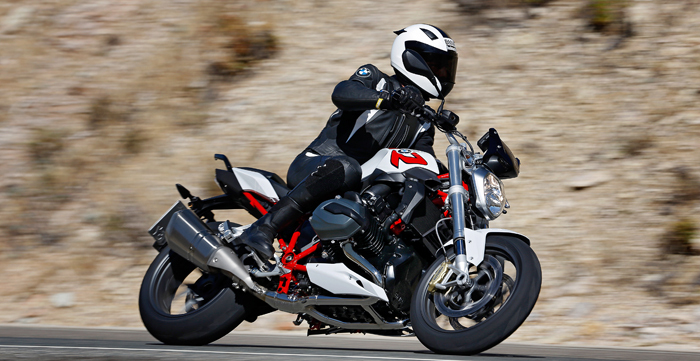 BMW was the third most successful manufacturer in the UK in September, based on new registrations, with Triumph in fourth and Piaggio, KTM and Ducati also featuring in the top ten. Collectively, European manufacturers sold 3,224 units in the UK in September, while Asian manufacturers sold 5,984 – so you can see they’re still some way behind. These results have also been calculated without including Lexmoto, an arguably Asian, arguably European manufacturer. Even so, with 415 sales in September, it wouldn’t make much of a difference either way. There are plenty of manufacturers throughout Europe and an equal amount who’ve ceased to exist. Here, we’ve got some short profiles for the leading European manufacturers. Aprilia is one of the manufacturers that falls under the Piaggio parent brand. It’s an Italian marque that has been producing motorbikes and scooters since 1945 and its machines are renowned for their brilliant performance and handling ability. 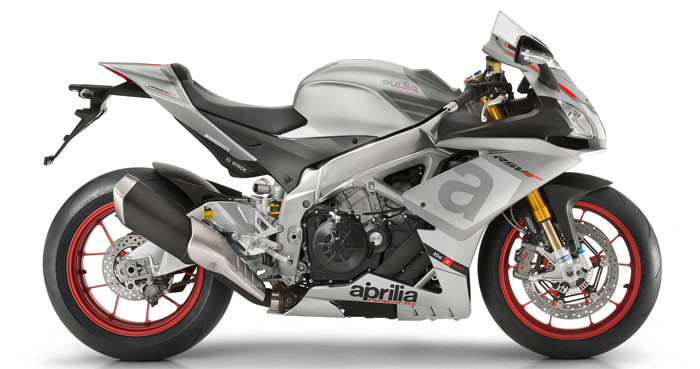 Aprilia has also had a strong and successful presence in motorsport and that has heavily influenced its product line-ups throughout the years. Its high-end model is the RSV4, a 1000cc superbike that’s a common sight in motorsport. Benelli is one of the oldest manufacturers on the market. It’s an Italian brand but it’s now owned outright by Chinese giants, Qianjiang Group. Not a common sight on UK roads anymore, Benelli is steeped in history yet shuns the traditional style of Italian manufacturers with no scooter or 125cc models in its line-up. Instead, Benelli focuses on high-end and performance focused models and that harks back to the manufacturer’s racing pedigree. The German motor giant needs no introduction but we’ll give it one anyway – a behemoth in the motorcycle industry and one of Europe’s shining lights. BMW Motorrad began making motorbikes after the first world war and since then has experienced massive sales across the UK and Europe. And its success has lead to a wide and varied product line-up that features scooters, sports bikes, enduro models, roadsters and tourers. And it’s in the tourer segment that the German brand experiences most success with the R1200 RT and GS Adventure iterations the joint third bestsellers in September. Cagiva is something of a specialist and a fairly niche manufacturer but its models are renowned for their looks and impressive performance. 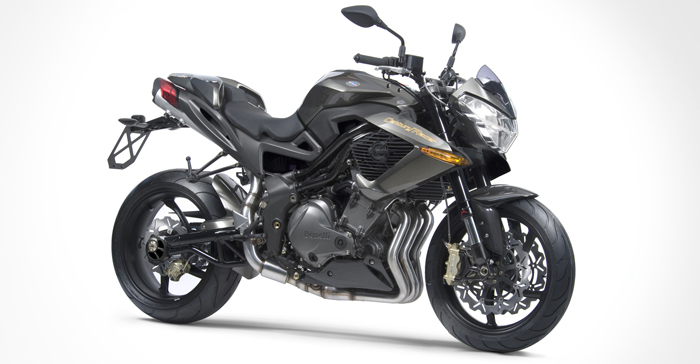 The manufacturer builds pure sports bikes both in terms of their sleek designs but also their handling ability. They’re light and agile, flickable and quick off the mark so they’re something of a niche; not everyone wants this from a bike with some riders actually favouring economy. As a result, Cagiva doesn’t experience high levels of sales but most riders will retain a soft spot for the stylish marque.